No More Microwaves International cooking for the youthful malcontent. WTF is Kashmiri Chili Powder? For one thing, it’s the subject of some heated internet debate. However, that does little to distinguish it from stain removal tips, the best restaurants in the East End, and LOLcats. Much of the debate, though, centers around the crucial question: what is a Kashmiri chili pepper? The problem is Kashmir grows many kinds of peppers, so the naming convention can be misleading since the powder labelled “Kashmiri” is typically one specific type of pepper. The other thing is that the pepper typically used for Kashmiri chili powder isn’t even from Kashmir. While this may send some cooks into fits of shock and horror, what does this mean for you, the young, intrepid amateur in Toronto? Not a whole lot. 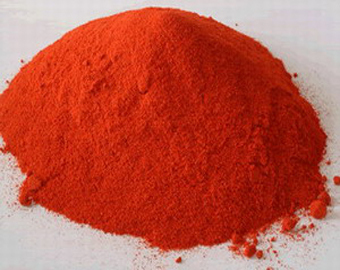 Kashmiri chili powder (wherever it really comes from and whatever it really is made from) is a name for a powdered chili pepper that is relatively mild in heat and full-flavoured, but it’s main characteristic is a vibrant red colouring. It is somewhat similar to paprika in this respect – it is used more for colouring than for heat, although it’s slightly hotter than paprika. Measured on the Scoville scale, Paprika is about 500 SHU (Scoville Heat Units) at it’s hottest, while Kashmiri chili powder can top out around 2000 SHU. That may sound like a huge difference, until you consider that cayenne chili pepper (which you will see in these recipes often) measures at upwards of 50,000 SHU. The important thing to learn here is that if Kashmiri chili powder is called for in a recipe, it is not heat that is important, it is the colour and the flavour; substituting cayenne for Kashmiri is not recommended! However, for reference, the 2000 SHU places it in the same league as Ancho and Poblano peppers (1000-2000 SHU) and Tabasco Brand sauce and Jalapeno peppers (both 2500-5000 SHU). Frank’s Hot Sauce (for popular reference) is about 450 SHU. As mentioned though, the main quality of Kashmiri chili powder is it’s ability to impart a vibrant red colour to dishes. Before red food dye, it was (and sometimes still is) the colouring agent in tandoori chicken (which would obviously be much “hotter” than the dyed tandoori chicken we’re used to eating in Canada) and it also provides the rich red in Rogan Josh dishes. It will redden pretty much anything capable of absorbing colour: oils and fats, the surface of meats, onion, etc. As this is what paprika is also used for, you could use hot Hungarian paprika as a substitute, but remember it is not an exact match: Kashmiri chili powder is both hotter and redder. A more suitable substitute would a mixture of paprika and cayenne pepper – about 3 parts paprika to 1 part cayenne. You can find this spice in any Indian grocery store and it may be sold under the following names: Kashmiri chili powder, Kashmiri mirch, degi mirch, deggi mirch, deghi mirch and similar variants. It is, from what I’ve seen, often sold in small tins (similar to fancy and smoked paprikas) but I’ve purchased it in a plastic sleeve as well. It’s fairly cheap, 2-3 dollars will get you a medium-sized package. This entry was posted on March 15, 2010 by Jeff. It was filed under WTF is this? and was tagged with chili, Indian, Kashmiri chili powder, Spices. I reside in a somewhat rural part of North Wales, giving me limited access to specialist food shops. I wanted to purchase Kashmiri Chilli Powder after watching a new TV cooking series by Madhur Jeffrey. This proved difficult, even by post, as this mild spice has so many confusing descriptions on the internet, which equate to various degrees of heat! Your clarifications are very helpful & enabled me to purchase the mild full colour variety that I sought after. I write to say a big thank you for your help. Kashmiri red color in food is highly desirable. One spice used was called Red Cockscomb. It is the dried flower tops of a red amaranth similar to Love Lies Bleeding and will give food a brilliant red color. It could be an ingredient in this Kashmiri Red Chilli powder or could be added to any less red colored mild chilli powder (mild Spanish Paprika) to get the red going strong. So many spice pastes made by Indian food companies use huge amounts of the dreaded Red Dye No.2 and others not regulated in western countries. Be careful with those packets to make a red yogurt marinade for meats sold as Tandoori Seasoning mix! Thanks, great writeup and a wealth of info! I love Indian food but have only recently gotten into cooking it. Kashmiri chili powder is just what I need to add flavor without too much heat. I personally like it hot, but when cooking for others I can’t crank it too loud. Thank you so much for this very clear explanation!!! For once, it is so easy to understand!! Actually, I would recommend trying Korean chili powder as a close substitute. It has wonderful color and flavor — and only slight hotter than paprika. Same basic attribute as Kashmiri.